Please make this for Opera 16. I miss this extension. 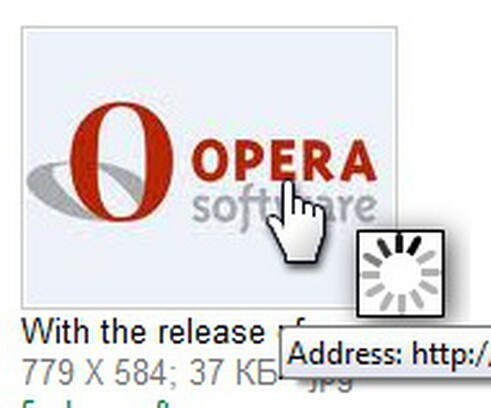 Please provide support for Opera 15. Does not add the viewed image to browsing history. Please fix. Doesn't work with extensions that load the next page automatically like RES or AutoPatchwork. Stops opening images. работает хорошо, но исправте недочет - когда наводишь на изображение курсор всплывающий адрес ссылки закрывает часть изображения - из-за чего его нельзя полностью просмотреть. Не работает в Opera 12. Many issues on Facebook. The main is that most of the times one photo is loades, it is kept open until you refresh the site. Doesn't work in the watch folders in on deviantArt. Doens't work with Youtube thumbnails. А нельзя ли убрать иконку которая показывает процесс загрузки (колесико которое крутиться пока грузится картинка)? Можно просто птичку в настройках сделать. Google Image has altered the Picture Links. Now the "imgurl=..." ist gone. So the preview doesn't work anymore :( Can u fix this!? But you have to change to the basic (old) version of Google Images. You can do this on the end of the site of Google Imges (scroll to the end of the site). Devantart on bottom (daily deviations) if clicked - on next page will added image popup, never closing. If hover on another pictures - open a new popup. Only refreshing helps. Since v. 1.5 doesn't work well with AutoPatchWork (https://addons.opera.com/addons/extensions/details/autopatchwork/1.8.6/) - shows images only on the first page, but not on subsequent ones. Latest version broke displaying of images which were loaded after initial page load(page is fully loaded and you click link that uses ajax to display content). Images loaded initially use imgtip correctly at least in image boards I use. Since the 1.5 version I get a bug, that if an image preview loads, it stays permanently on screen, and stays in the same position of screen, despite of scrolling, etc. Only way to fix it is to refresh page. I'm also having the problem of the SPAM like signature in Gmail. Because the first incident of this problem dates back to May 5, and there hasn't been any feedback since then, I guess this problem can't be fixed? Works very inconsistently on Facebook. Half the time the image won't pop up. In all textareas adding invisible trash like <div class="_imgTip" bla bla bla. It's causing problems with many html forms. It's not an issue but I would love if ImgTip supported flickr. Inserts a garbage "signature" into any message that is composed in Gmail, when sending the message. When I install this extension I have a problem with the speed dial: When I click on a speed dial page and hit the back button the speed dial appears and short afterwards the page "about:blank" appears. Took me a long time to figure out why this was happening, but it only happens when ImgTip is installed and active. Doesn't work on image links ending with slash, eg. .com/tree.jpg/ Didn't anyone realise that hovering over imageshack thumbnail do nothing? 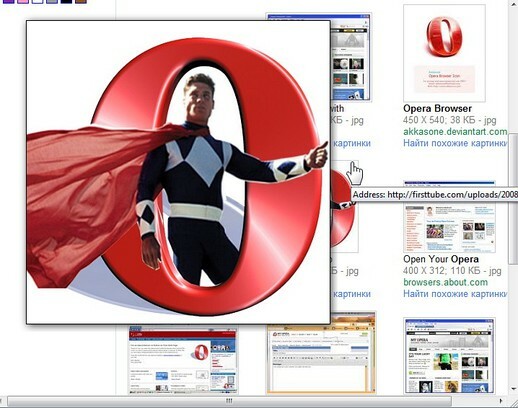 Activating the extension and reloading large pages like http://goo.gl/698S hogs CPU at 100% and makes opera non responsive for a long time.